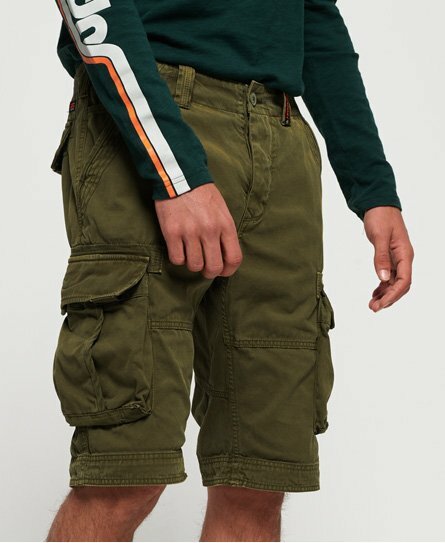 Superdry men's Core cargo lite shorts. Mix up your wardrobe this season with the Core cargo lite shorts. Featuring a six pocket design, button fastening and belt loops, these would look great styled with a t-shirt and trainers for the everyday. The Core cargo lite shorts are completed with branding on the belt loop, a logo patch on the front pocket and small logo badge above the back pocket.